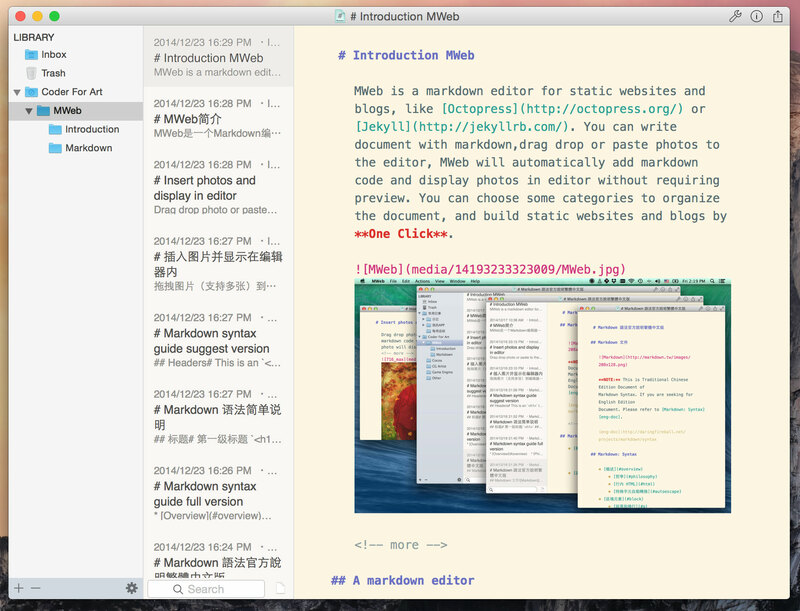 In Editor share: Copy as image,Save as image,Save as PDF etc... now change to HTML style. Add HTML or PDF export suport for documents. 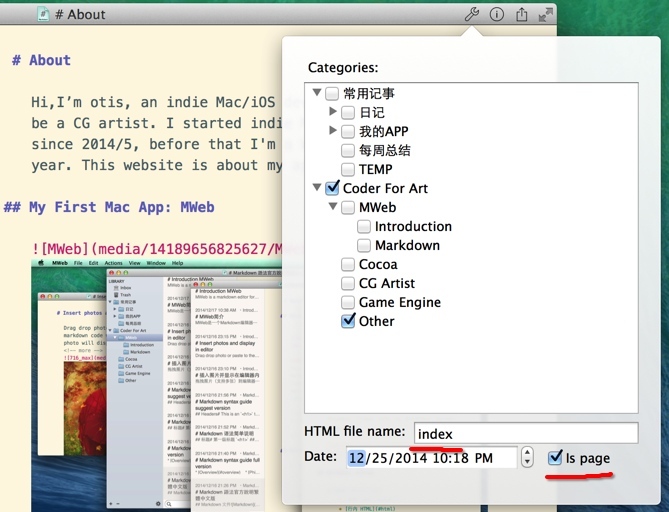 You can selected documents --> Right Mouse Button Click(RMB) --> Export as HTML or PDF. Add HTML or PDF export suport for category. You can selected category --> RMB --> Export as HTML or PDF. Add new preview css: octopress,greyshade. Add drag & drop to sort categories.